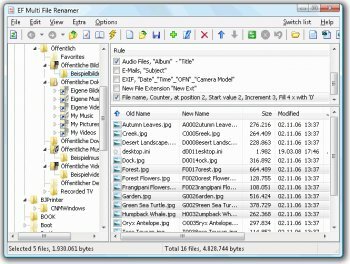 EF Multi File Renamer a versatile tool for comfortable renaming of numerous files or whole directories (including subfolders) in a processing step. Select the rule(s) you need for the current task from an extensive set of predefined rules. Each rule has its individual settings. 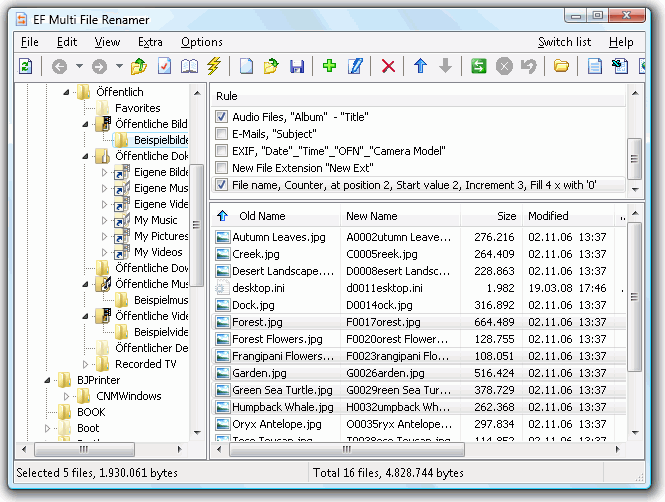 Renaming tasks can be implemented clearly with a minimum of efforts.